'Life in Death' documents Dame Black's work on the UK's biggest criminal investigations. Dame Black: One of the world's leading forensic scientists. 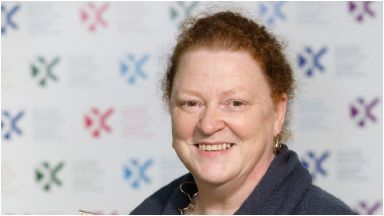 One of the world's leading forensic scientists has won the 2018 Saltire Book of the Year award. Dame Sue Black wrote All That Remains: A Life in Death to document her work in some of the UK's biggest criminal investigations as a professor of anatomy and forensic anthropology. It is an account of Dame Sue's groundbreaking work in laboratories, burial sites, murder scenes and when investigating mass fatalities due to war or natural disaster. Despite the subject matter, judges said her book was "curiously uplifting and life-affirming". Five other writers were also recognised for fiction, poetry and research at the Saltire Awards in Edinburgh on St Andrew's Day. Dame Sue said: "I am truly delighted to have won the Saltire Book of the Year award this evening. "To have done so in such illustrious literary company is a very special honour. "Over the past 30 years and more, I feel very lucky to have been able to work in a job that I absolutely love. "In writing this book, my goal was always to create a record of that experience but also to reflect on the important and positive lessons I have learned about life through the study of death in its many different forms."